Today, we published the PHE Screening inequalities strategy Part of our approach will be to provide updates on the actions we are taking to support local screening programmes to tackle inequalities. This blog articles updates you on such action in abdominal aortic aneurysm (AAA) screening. Screening should be equitable because one of its fundamental principles is that we invite every eligible person. However, there are many reasons why people choose not to have screening. Some eligible people may not take up the offer because they do not understand the invitation or have difficulties accessing the service. However, these people may also be at greater risk of having the condition we are screening for. The NHS AAA Screening Programme aims to reduce premature deaths from ruptured abdominal aortic aneurysms through early detection, appropriate monitoring and treatment. 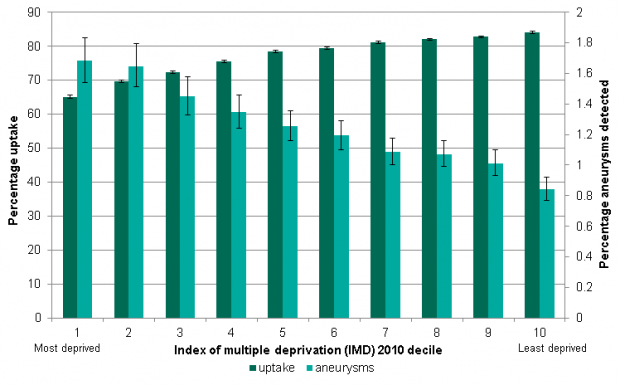 Last year, we published a paper on the effects of deprivation and ethnic group on uptake of AAA screening and detection of aneurysms using data from April 2013 to March 2015. Men ranked in the most deprived tenth of the country were less likely to attend screening but more likely to have an aneurysm. We also commissioned a systematic review into inequalities of access into AAA screening. We would encourage all local providers to download and read this paper by the AAA inequalities project group which contains evidence on the factors that influence attendance as well as recommendations on how to increase awareness and accessibility. Today, in association with our colleagues in Wales, Scotland and Northern Ireland, we have launched guidance for AAA screening providers, commissioners and other stakeholders on sharing learning and good practice in reducing barriers to attendance. This new guidance helps providers identify inequalities and explains how they should share examples of what has worked in improving access to services so others can do the same. It also highlights initiatives that haven’t worked so others don’t waste resources. We will share specific examples of best practice via the blog and link to the new national guidance. You will be able to search for these blog posts by clicking on ‘inequalities’ in the key word tags on the right of the PHE Screening blog page. We hope this will become a valuable resource for local services. So please let us know what you have been doing, what the impact has been and any resource implications. Just follow the instructions on how to submit examples of best practice. The first step in tackling inequalities is to identify if they exist and to do this you need good data. Last October we launched a report for local providers giving data on deprivation and ethnicity by area. 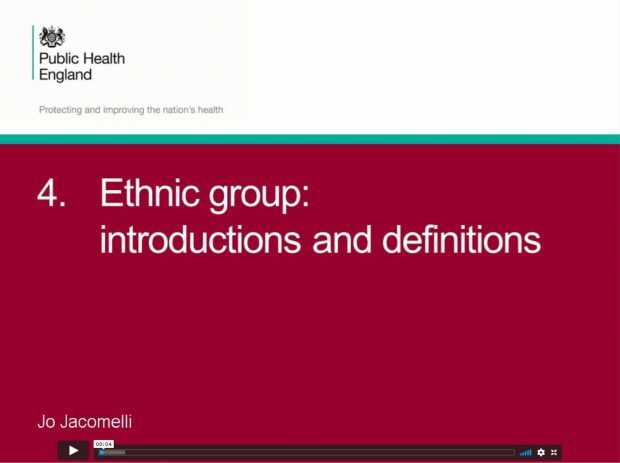 To help providers understand and use this report we have created 4 videos focused on the deprivation and ethnicity sections of the data. You can use these videos whenever convenient and go back to them as often as you need to. They explain how to use and understand the data in the report, taking you through what data is available, how to interpret it and how to complete the reporting tool. Please read and make use of all these resources as we try to make sure we are doing all we can to tackle inequalities in AAA screening.